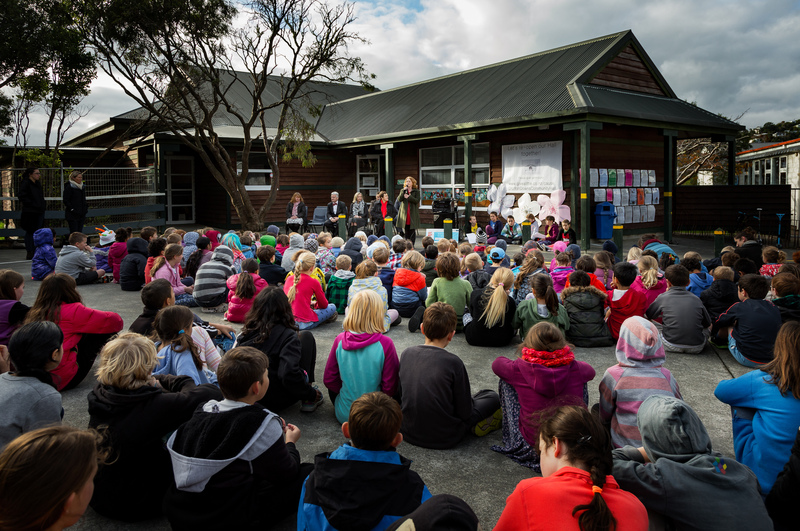 Crofton Downs Primary School is one step nearer to starting the work to earthquake strengthen their school/community hall, thanks to a $50,000 cheque from Transpower’s CommunityCare Fund. 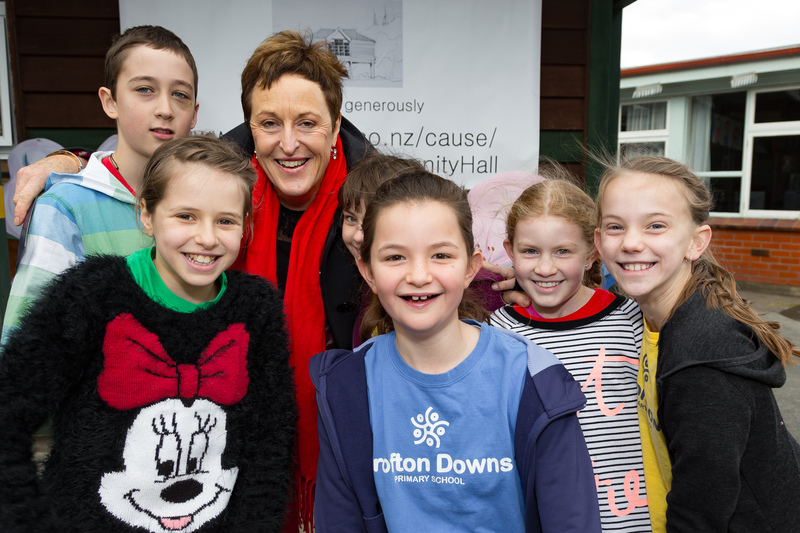 Transpower CEO Alison Andrew presented the cheque during a special assembly at Crofton Downs Primary School. The hall, located on school grounds and owned by the School’s Board of Trustees, was closed in 2014 after being classified as an “earthquake prone” building. This has left the school and Crofton Downs community without the vital meeting space that had hosted community activities from Aikido to Yoga. The cheque, combined with other community grants and allocations received, amounts to 90% of the estimated $455,000 required to return the hall to acceptable strength and re-open it to the many varied activities that the hall accommodates for the school and local community. Crofton Downs Primary School principal, Toby Stokes said the hall has been missed: “Not a day goes by when we don’t miss being able to use the hall. We have nowhere to be together as a school and our local community has lost its space for connecting and sharing”. The CommunityCare Fund was set up in 2007 to assist communities affected by Transpower’s projects and assets, with projects that add real value and benefit to communities. In the latest funding round, the CommunityCare Fund assisted 17 community organisations nationally, totalling $429,284 in funding. The next funding round is in July this year. 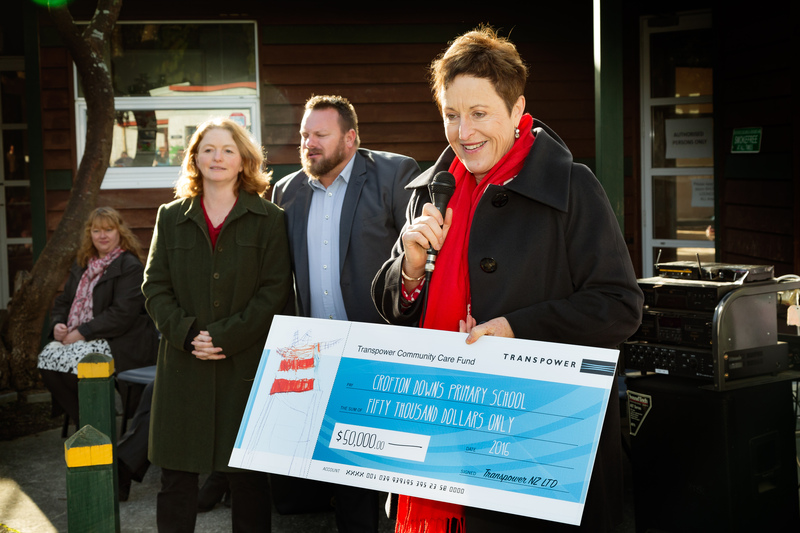 Further information on Transpower’s CommunityCare Fund, including a full list of the successful applicants, can be viewed at www.transpower.co.nz.